As a musician, you should be collecting money from MANY income streams. Do you know what they are? Royalties. Earnings. Income. Revenue. Scratch. Bones. Loot. Notes. Moolah. Dough. There are a lot of words for money. There are also a lot of ways for musicians to get paid today. Independent artists now have access to more revenue-generating opportunities than ever before. That doesn’t mean it’s EASY to earn money as a musician, but it does mean you have more options to explore, more ways of aligning your talents with an income stream, and more ways of putting your recordings, songs, performances, and merch to work. CD Baby makes this easy, helping you monetize your music across multiple channels, with the ease of managing all your revenue from one account. 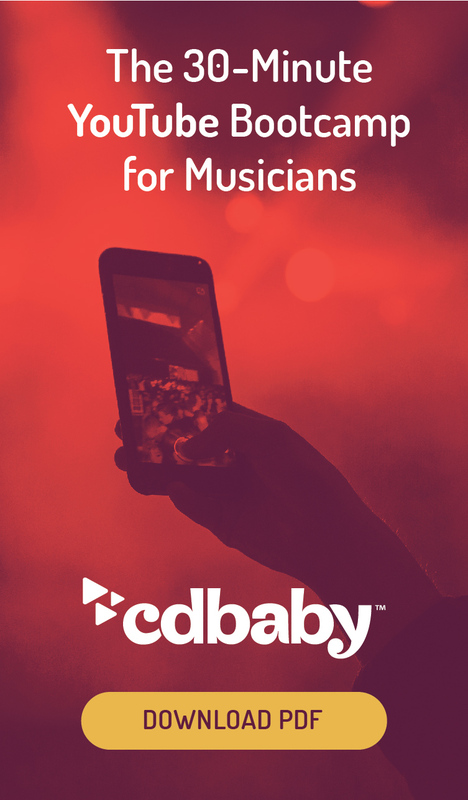 With CD Baby as your distributor, we’ll deliver your music to all the important digital platforms, collect the money you’re owed, and add it to your account with detailed reports on your streaming activity across all platforms. If you’re an artist or a label, you’re probably owed money whenever you sell a download (on iTunes, Amazon, CD Baby, etc.). For now, we’re talking about the royalty you’re owed for the digital sale of a sound recording. From download stores: This one is simple — CD Baby collects this money from download stores such as iTunes and Amazon and we pay it to you. We also provide a full accounting of all download activity, plus daily trending reports. You’re owed money for the usage of your music in video content that appears on popular platforms like YouTube, Facebook, and Instagram. Those platforms take a “sonic fingerprint” of your recording, and any time your music appears anywhere in their ecosystem, it’s monetized on your behalf. CD Baby’s social video monetization service is INCLUDED at no extra cost with both Standard and Pro Publishing distribution packages, though it’s a separate opt-in so be sure to check that box! We work with the social video platforms to deliver your songs so they’ll be properly ID’d — as well as available for use in music catalogs like the one in Instagram Stories; then claims are placed on any video that uses your music. Related revenue is collected by CD Baby and paid to you! YouTube gives eligible channels a way to earn ad revenue on their videos via the Partner Program. First, do you qualify for the YouTube Partner Program? If you meet those channel requirements, sweet! YouTube will pay ya. Note: The Partner Program is different from CD Baby’s YouTube monetization service. Even if you don’t qualify for the Partner Program directly, CD Baby will still monetize your music wherever possible through Content ID. At shows: If you’re selling these at shows, you can put the cash in your pocket or run cards on a system such as the Square Reader or PayPal’s Chip & Swipe Reader. Ecommerce solutions such as Shopify also have tools that help you sell product, manage inventory, and collect customer data at live shows. 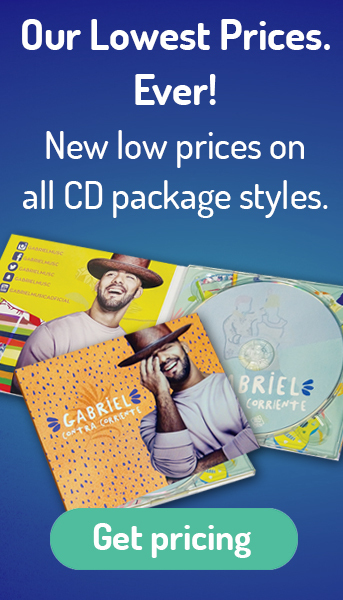 From record stores: If you’re using CD Baby as a physical distributor to get your CDs and vinyl into thousands of record stores around the world, you set your wholesale price and CD Baby will pay you whenever there’s a sale. From CD Baby’s music store: Similarly, if you’re selling CDs or vinyl via our online music store, we’ll immediately add that sale to your account. For your own ecommerce efforts: Lastly, if you’re doing your own order fulfillment for physical sales (meaning you’re going to run to the post office whenever you sell something), you can use services like Bandcamp or Shopify to create an online store, and payments would be processed via something like PayPal or Stripe, then deposited to you via ACH. Mechanical royalties are a kind of publishing royalty (money owed to publishers and songwriters for the usage of a composition, as opposed to a particular recording). If you’re a songwriter, composer, or producer who creates original music, you’re owed a mechanical royalty for the “reproduction” of your composition. In the physical world, this meant mechanical reproduction in the form of CDs or vinyl. In the digital world, both downloads and streams are considered virtual mechanical reproductions. You’re owed money for all of it! First, it should be stated that collecting mechanical royalties on your own is VERY difficult. It requires a lot of paperwork, striking up relationships with royalty collection societies around the world, and potentially even managing communications in dozens of languages. Possible, but why spend so much energy on something that already has an easy solution? You keep making music; let CD Baby handle the rest. For global interactive streaming activity: With CD Baby Pro Publishing, we’ll make sure your original music is registered with collection societies around the world and we’ll help you collect all the publishing royalties generated by interactive streaming activity. Interactive streaming is when the user chooses exactly what they want to hear; think Spotify, Apple Music, etc. For downloads within the US: This is a tricky one to explain, but the short answer is — you probably don’t need to worry about it. In most parts of the world, mechanical royalties from downloads are set aside by the download store and passed to a royalty collection society, who then holds those funds to be collected by publishers and publishing administrators. However, in the US, mechanical royalties for downloads gets paid to the distributor as part of a bulk payment for the download. If you use CD Baby, we collect that money and pay it to you. If you’re the songwriter and ALSO acting as your own label, well, it’s all your money anyways. 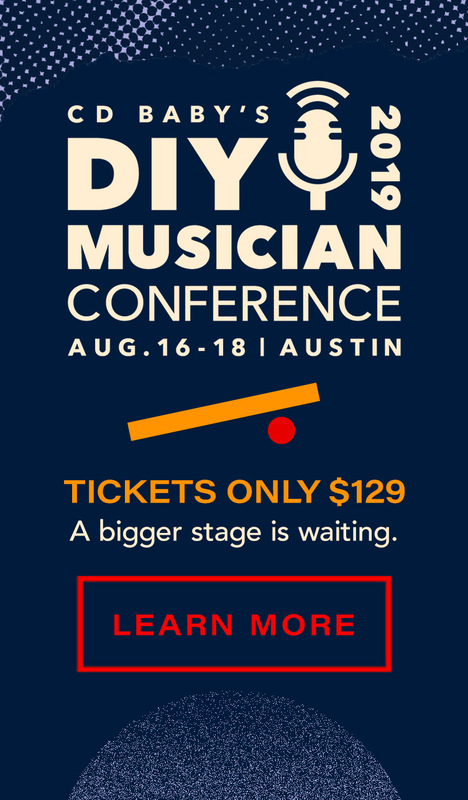 The only time it gets tricky is if you need to pay mechanicals to your collaborators or bandmates. Then you’d just pay the songwriter(s) what they’re owed after receiving payments and reports from CD Baby. For international downloads: As mentioned above, mechanical royalties for international downloads are passed to collection societies. With CD Baby Pro Publishing, we’ll act as your publishing administrator and collect that money for you. Performance royalties are another form of publishing royalty, owed to publishers and songwriters when their compositions are played on the radio, performed in public, and more. With CD Baby Pro Publishing, we’ll work in conjunction with Performing Rights Organizations around the world (including ASCAP, BMI, SESAC, SOCAN, PRS, and many more) to make sure you’re earning ALL your performance royalties. Just don’t forget to file your set lists when you perform live, because you’re owed songwriter royalties for those shows too! In the USA, these are royalties generated from non-interactive streaming on internet and satellite radio services. Non-interactive streams are passive plays that happen when a user is NOT choosing exactly what they want to hear — like on Pandora Radio. Unlike publishing royalties, which are owed to publishers and songwriters for the usage of a composition, these royalties are paid for the usage of a sound recording. They’re owed to the featured artist(s), the session players, and the label that helped create the recording. Internationally, these royalties for the reproduction of a sound recording are more broad, including not just non-interactive streaming, but also TV and terrestrial radio royalties. In the USA, radio play over the airwaves only generates money for songwriters and publishers, NOT artists and labels. The label portion: With CD Baby as your distributor, we’ll help you collect the label portion of these royalties for non-interactive streams on services like Pandora. The featured artist portion: You should register directly with SoundExchange, and they will pay you the artist share of these royalties. The session-player portion: If you played on a certain track that sees non-interactive streaming activity, you’re owed something too, and you can collect by affiliating with an organization such as the American Federation of Musicians (AFM), the Screen Actors Guild, or the American Federation of Television and Radio Artists (SAG-AFTRA). As a musician, you probably do OTHER work outside of your own music-making. You play on a friend’s record. You help arrange or produce a track for someone in your scene. You remix a song by an artist halfway around the world. Sometimes you’ll work for free or as a favor for a friend, and sometimes — most times — you should get paid for these efforts. This area is a little more nebulous, as terms are usually negotiable (for instance, should a producer get songwriting credit or just get points?). One thing is certain: Get your agreement in writing before you collaborate. Determine if this is a work-for-hire situation where you’re contributing your talents for an upfront fee ONLY, or if you deserve some ownership stake or ongoing royalty split. With live revenue, there’s no one answer. You could get paid by the talent buyer before the gig, by the bartender or bouncer at the end of the night, by a promoter stuffing a bloody envelope with crumpled bills weeks afterwards, or with an instant transfer of funds from a ticketing platform. However the money is due, good luck! And remember to file your setlists with your Performing Rights Organization if you’re playing original material, as that opens up additional royalties beyond what the venue or promoter initially pays you. “Synchronization” is the act of pairing audio with moving images — video, film, TV, commercials, video games, corporate presentations, etc. You can handle your own sync licensing, negotiating with music supervisors yourself, or you can use a sync licensing service such as CD Baby — which is included at NO EXTRA COST with both CD Baby Standard and Pro Publishing distribution. We’ve gotten big placements for artists on HBO, Showtime, NBC, FX, MTV, and many more. Important: CD Baby’s sync licensing service is NON-exclusive, meaning you’re free to use other sync agencies as well. Just remember, 50% of the sync fee is owed to the label and the other 50% goes to the publisher(s)/songwriter(s). Hopefully you’re all three! If so, you’ll also be set up to collect performance royalties for things like ongoing TV usages, thanks to CD Baby Pro Publishing and your Performing Rights Organization. Similar to the CD and vinyl sales mentioned above, you might have an online store you’ve set up yourself, employed an existing ecommerce solution like Shopify, or you just sell these things at gigs. If you’re putting dollars right in your pocket, be sure to keep track of the payments, monitor your inventory, and be ready to stock up again when supply gets low. You can’t always predict when a song will hit, or how it’ll make you money. Be prepared to collect EVERYTHING you’re owed. As you can see, there are lots of ways to put your music to work these days.